Yoga has many, many benefits for runners, including things like increased flexibility and strength. One benefit is one that many runners may not consider: better breathing. The breathing exercises that yogis use, or pranayama, can also be applied to your running to help you breathe better during your runs. When you’re able to control your breath better during your runs, you’ll be able to get more oxygen to your running muscles. Ready to learn more? Let’s delve more into pranayama for runners. First things first: exactly what is pranayama? The word pranayama extends from two words: prana, which is often described as life force, and ayama, which means to lengthen or stretch. In yogic traditions, breath is used to control the prana and to help it flow properly through the body. However, even if you don’t explicitly believe in the existence of prana, you can still gain a lot from pranayama exercises. So how can runners start to practice pranayama? One basic exercise that I like to lead my yoga students through is to practice taking a three part breath. Start in a comfortable position, whether it’s seated or lying down. Place one hand on your stomach and one hand on your chest. As you inhale, think about pulling your breath first all the way down to the base of your abdomen, to the pelvic floor. Feel your belly rise. Once your belly is full of air, your ribcage starts to expand. Think about increasing the space between your ribs as your lungs fill with air. Your ribs expand in all directions—in front of you, in back of you, and to the sides. Finally, when your ribs are fully expanded, your chest rises. Feel your chest expanding with your other hand. As you exhale, think about those same steps in reverse. Your chest starts to fall, then the muscles surrounding your ribs, the intercostal muscles, start to contract to pull your ribs in. Finally, your belly starts to fall as you push the final bits of breath out of your body. Start your journey into pranayama for runners by practicing taking these deep breaths a few times a week for a few minutes at a time. Once you’ve mastered this breathing exercise resting, try taking these same full breaths on your runs. Practice taking deep breaths as you run. Even though you’ll be breathing at a faster rate, focus on taking in more air during each breath. Through practice, you’ll get better at taking deep breaths as you run. Once you’ve mastered this basic type of pranayama, you can move onto more advanced exercises when you’re ready, such as single nostril breathing. I do briefly want to mention the mental benefits of pranayama. Mentally focusing on your breath is a form of meditation, which has been shown time and time again in many scientific studies to provide many benefits, including stress reduction and improved focus. If you can improve your focus and help better control your emotions while you’re running, you’ll be able to push through hard workouts more easily, and you’ll probably be a happier person, too. 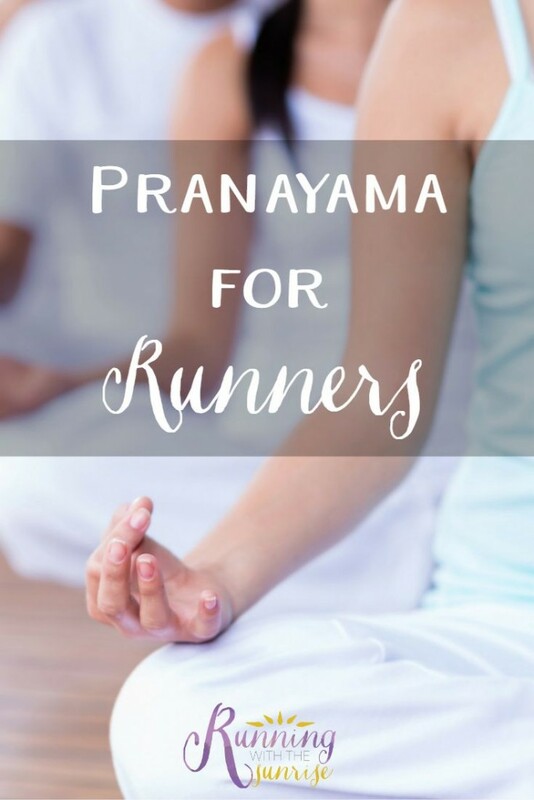 Pranayama for runners starts to sound like a pretty good idea, doesn’t it? 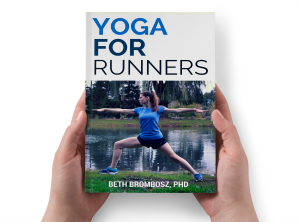 If you’re interested in yoga for runners, you should sign up for my free two week Yoga for Runners Challenge! I’ll email you a new yoga pose to practice every day for two weeks. Sign up for the challenge here! Runners: do you do any breathing exercises? 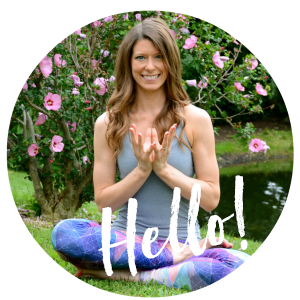 Any questions about pranayama for runners? Yoga had a major impact on my breathing and lung capacity while training for my last two marathons. I haven’t been as good about practicing this summer, and I can tell! But I definitely talk to my trainees about it and encourage them to seek just such breath! Great post, Beth! Love that you tied in how yoga breathing can be beneficial for a sport that “seems” so different than yoga.